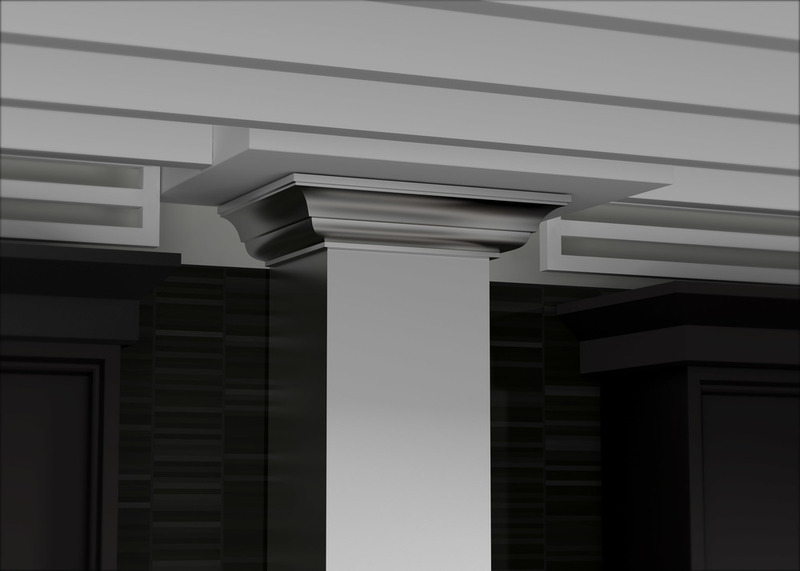 Crown molding helps your ZLINE hood fit perfectly. The Chimney dimensions vary by ceiling height and hood type. If you have a particularly short ceiling or high ceiling, these extensions are for a customized fit. Be sure to measure twice and order the correct extension that matches your hood at The Range Hood Store.